ON A BOREHOLE OR SPRING WATER SUPPLY? FREE OF CHARGE SITE SURVEY? PRIVATE WATER SUPPLY. Do you need qualified help? SPRINGBORE – PRIVATE WATER TECHNOLOGIES are a specialist engineering company offering customers bespoke solutions to their private water supply and treatment needs. Our experience and knowledge of this industry has been built over a many years in a number of fields. Our team have experience and knowledge of Engineering, Construction, Water Treatment, Project Management. We believe this sets us apart from the competition and that our offering is unique and unrivalled within the water supply and treatment sector in the UK. We provide our customers with cost effective alternative water supplies. We are constantly growing our customer portfolio allowing us to provide an extensive range of water supply and treatment solutions. We offer a detailed report for each of our customers enquiries, we often undertake site surveys to obtain the necessary information, allowing us to provide solutions and costs saving to your water supply and treatment requirements. As part of our services, if a water supply or treatment system is installed, we provide a comprehensive maintenance and service support facility. Our customers also receive on-going information relating to new products and services being offered by us that could provide further benefits and savings to you. Springbore take pride on being customer focused, treating every enquiry individually to offer the most practical cost effective solution for your water needs. We hope you find our Website useful and informative and if you need any further assistance, do not hesitate to contact us. If you have a Private Water Supply you are part of an exclusive group of around 1% of the population in the UK. 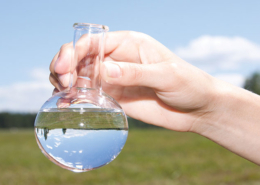 The water quality from borehole, spring and surface derived supply such as wells and streams can vary enormously. Some provide water that looks and tastes good but the vast majority contain contaminants that can be harmful to health or cause cosmetic damage to sanitary ware. Discoloured water may cause you embarrassment when guests visit and if bacteria is present could cause a health risk especially to the elderly, young or people of poor health. Private water supplies may be flagged up on searches when selling your property especially if a mortgage is required by potential buyers. This could cause delays or failure of the sale if the water does not meet standards. Your local councils environmental health department may periodically test your water for compliance. They will probably take a water sample, generally at your tap, for analysis at an accredited laboratory. If the analysis shows failures or any part of your system from catchment to tap causes concern they can issue improvement notices. 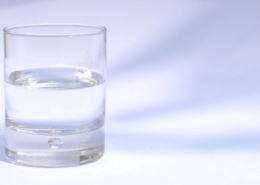 Levels of contaminants to be reduced in the water. The amount of treated water required i.e number of consumers (human/cattle etc). A rule of thumb is 1 person will typically use 160 litres of water per day with peak demand on a morning and evening. Location of the equipment – Inside house or outbuilding. Both have pros and cons. In house will take up valuable space, possible noise from pumps and also servicing could be more difficult. Systems outside will require protecting from the weather i.e frost so insulating/ heater & frost stat. Water yield – (the amount of water available from source.) Especially important if you have a filter with a backwash/regeneration feature. We offer a free site survey to local prospective customers to fully understand your requirements. 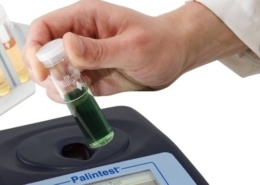 We can carry out on site water tests for pH, Iron (Fe), Manganese (Mn) hardness etc, although would recommend that a full accredited laboratory analysis is obtained which we can arrange. Contact us for a quote. Those further afield we can advise, spec and supply equipment based on information available to us about your water supply. To keep costs down you may want to install the equipment yourself or have a local competent plumber/engineer do it for you. We can provide installation flow diagrams and telephone help if difficulties arise. We aim to reduce your existing expenditure. We will beat any genuine quotation for equipment or servicing. We are highly qualified, experienced and leaders in Private Water Supplies. Having a problem with your water? We can provide you with a solution. Always on hand to help out in emergencies. Everyday.